Home / Bitters / Pinkish pucey Bourbon Whiskey Bitters barrel! 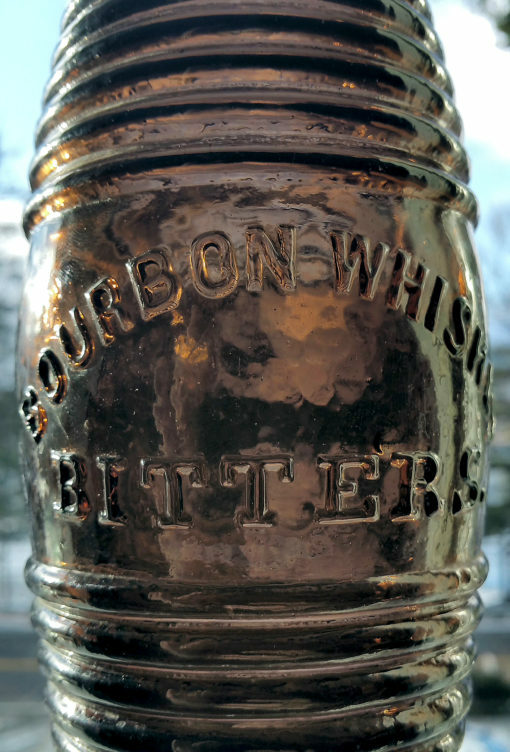 Pinkish pucey Bourbon Whiskey Bitters barrel! What a wonderful color! 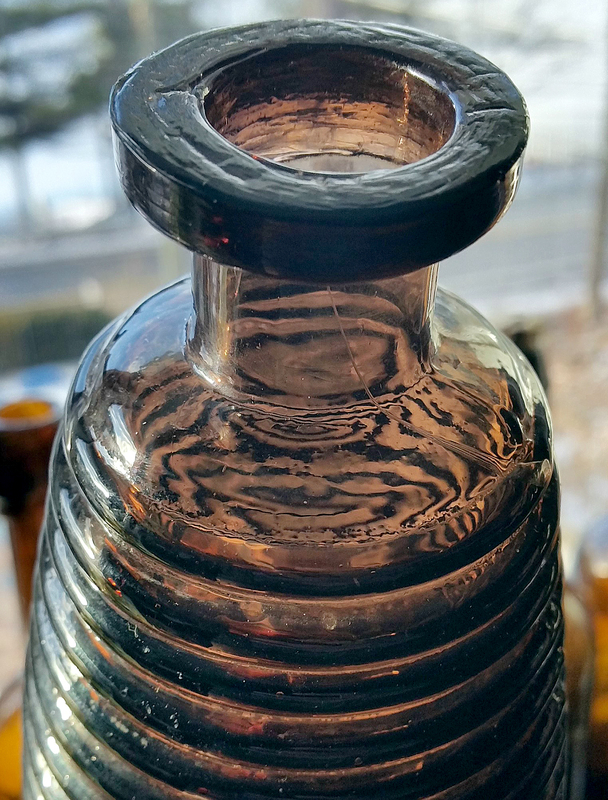 Here is a 1860-70s barrel shaped bitters embossed “BOURBON WHISKEY BITTERS” in a pinkish copper puce? color. Really nice! Good strong embossing, no wear around the belly or elsewhere, fresh find to the market. 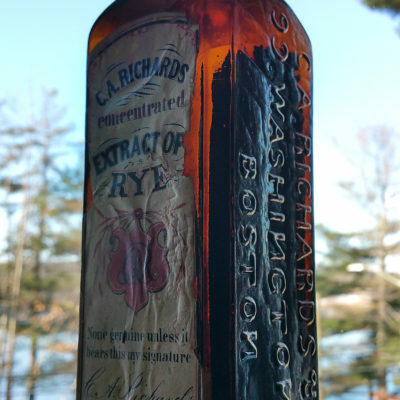 This is a fine example of an American figural bitters! Condition is about perfect, with just a very shallow flat (1/8″ tops) flake off the lip outer edge. VERY minor. Fantastic “Dr. 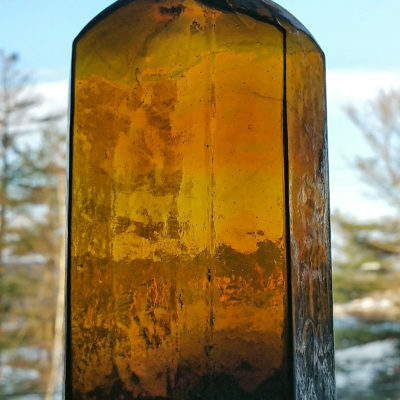 STEPHEN JEWETT’S HEALTH RESTORING BITTERS” light yellow amber! 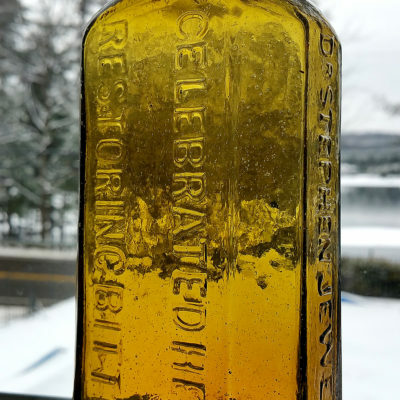 Whittled Aqua “Celebrated Health Restoring Bitters”, Pristine! 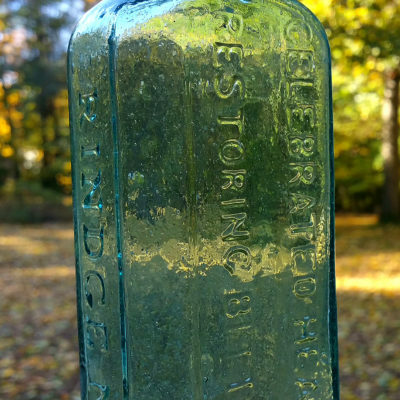 LARGE 1850s Stoddard Paneled Medicine Bottle!